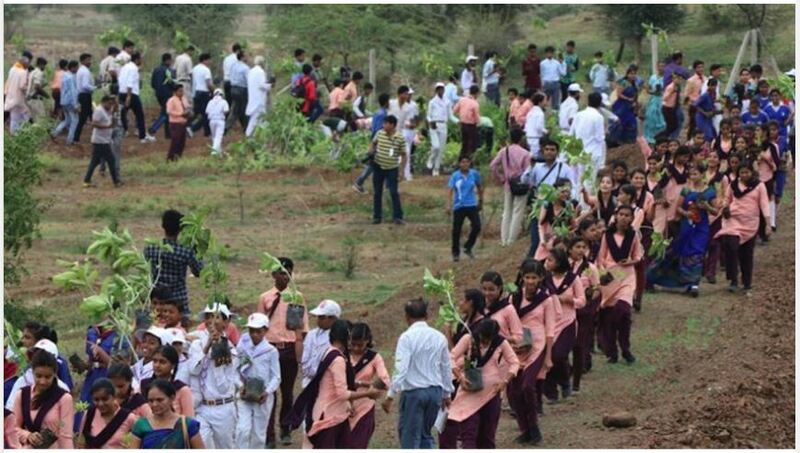 A new Guinness World Record has been set by the central Indian state of Madhya Pradesh on Sunday after 1.5 million volunteers planted more than 66 million tree saplings in just 12 hours along the Narmada River. Previously, 800,000 participants planted 50 million trees in one day in July 2016, and this time the effort bested the state of Uttar Pradesh’s previous record-breaking feat. Shivraj Singh Chouhan, the chief minister of Madhya Pradesh, said: “I am extremely proud to happily share that people of Madhya Pradesh successfully planted 6.63 Crore saplings today.” One crore is 10 million. They did this mass-planting in order to raise awareness for the nation’s “make India green again” plan. India pledged to increase forest cover to 95 million hectares (235 million acres) by year 2030 and is putting $6.2 billion towards the effort at the Paris climate conference.